Comprehensive Eye Exams | John Frangie, M.D. John Frangie, M.D., offers patients comprehensive eye exams, in addition to OTHER SERVICES, surgeries and treatments. Regular eye exams are instrumental for the long-term health of your eyes. A thorough and comprehensive eye exam should be performed annually or more frequently depending on pre-existing diseases and other factors. Eye exams are important, even for seemingly healthy eyes. By providing an ongoing evaluation of your vision, eye exams can detect problems and health issues before they worsen. In other words, Frangie’s office favors the scenario of catching any eye problems before they become severe or threatening. Comprehensive eye examinations are an overall analysis used to determine how clearly you see across all distances and fields. They also check for the presence of potentially serious eye or health issues and determine appropriate corrective measures, or ongoing treatments when necessary. For example, DIABETES can complicate the eye and lead to problems like retinal bleeding and should be checked often. Our eye exams are comprehensive and take into account both visual acuity as well as the overall health of the eye. Visual activity tests, including the well-known reading charts. 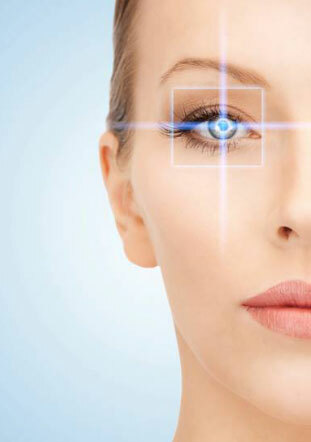 Refraction assessments are performed utilizing computerized refractors, retinoscopy, or the phoropter instrument. These determine your needs for an eyeglass prescription, while checking for the exact level or presence of hyperopia, myopia, astigmatism, and presbyopia. Visual field tests and eye motion tests are performed, ranging from the simple cover test, to tangent screen and automated perimetry tests. Other tests include color vision/blindness, slit-lamp examinations, glaucoma screens to measure intraocular pressure, retinal examinations, and more. Call the office at 413.363.2732 to schedule comprehensive eye exams in West Springfield, Massachusetts for yourself or family members. John Frangie, M.D., proudly serves the entire region, including SPRINGFIELD, Westfield, Southwick, Belchertown, Palmer, Ware, Monson, Northampton, Greenfield, CHICOPEE, ENFIELD, Connecticut, and more.